The two remaining public works are proposed to be unveiled in Batemans Bay on Tuesday 16th April. 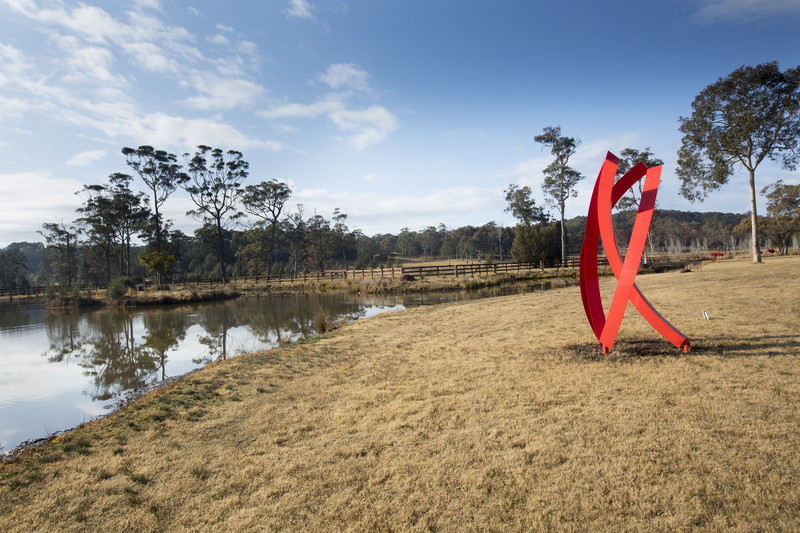 2018’s ‘Sculpture for Clyde’ event, and the incredible generosity of the local community, enabled the acquisition of 3 public works sculptures to be positioned in Batemans Bay. Jesse Graham’s much celebrated octopus, “Buoyansea”, and recently the very popular “Pelicant”, also by Jesse Graham, are now proudly displayed in Batemans Bay. We are excited that they will now be joined by the 2018 winning entry and acquisition by Haruyuki Uchida titled, “Dance”, and “Portal” by John Fitzmaurice. The wonderful local community purchased “Pelicant”, and “Portal” through a crowd funding campaign following last year’s event. We are thrilled to be helping create a legacy for locals and visitors to Batemans Bay, with an outdoor art gallery open every day and night of the year! Artist applications for the 2019 event (to be held from 24th August – 1st September) will close on May 31st.